China has been closed off to videogames for 13 years. With the new free trade zone, Microsoft may be working on a new console in the country. Microsoft and Shanghai-based Internet TV company BesTV are working together on what could be a new gaming initiative in a country that only just recently made moves to end a 13-year ban on the sale of gaming consoles. The statement did not clarify what the plans for the joint venture's "family games" would be, but it wouldn't be surprising if it's related to the Xbox One. The venture will take place in Shanghai, the proposed free trade zone, which is expected to offer some special privileges to companies operating there. Consoles have been available in the past through unofficial means, but the new policy will allow foreign companies to sell products in China if they agree to register in the free trade zone along with receiving approval from "culture-related authorities," sources told the South China Morning Post. BesTV will hold a 51% share while Microsoft holds a 49% share. The joint venture was initially named the E-Home Entertainment Development. Unconfirmed reports in the Chinese media point to a new console based on the Xbox called Bestpad. 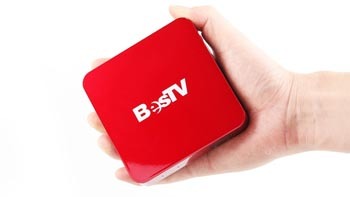 Right now, BesTV manufactures and sells smart TVs. The company has 18 million IPTV subscribers. The Shanghai Free Trade Zone is expected to launch next month.